This summer, Nicole, Victoria, Lizzie, Josiah, Jeri and Tim flew to the Midwest to visit family. We started our trip by waking at 3:00 AM for an early morning trip to LAX. We flew non-stop to Des Moines. After spending a night with Grandma Stogdill, we drove our rented SUV (a Kia Sorrento) to Moline, Illinois to visit Grandma Pau. Most of the time, we just hung around the house. We would watch Wheel of Fortune in the evenings. We (especially Tim) helped sort through stuff. Here’s Lizzie playing the electronic piano. 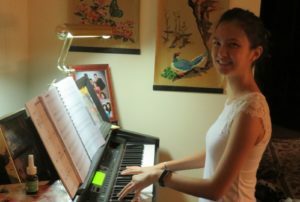 Lizzie playing piano. Click photo for full size. 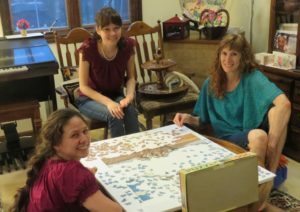 We worked (but never finished) a tortuous 1000-piece puzzle. 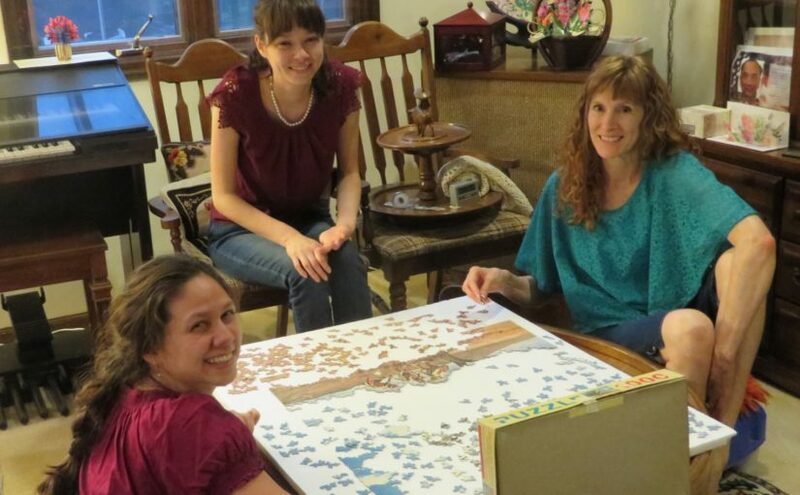 Victoria, Nicole and Jeri working on a 1000-piece puzzle. Click photo for full size. Josiah still found time to create new things. 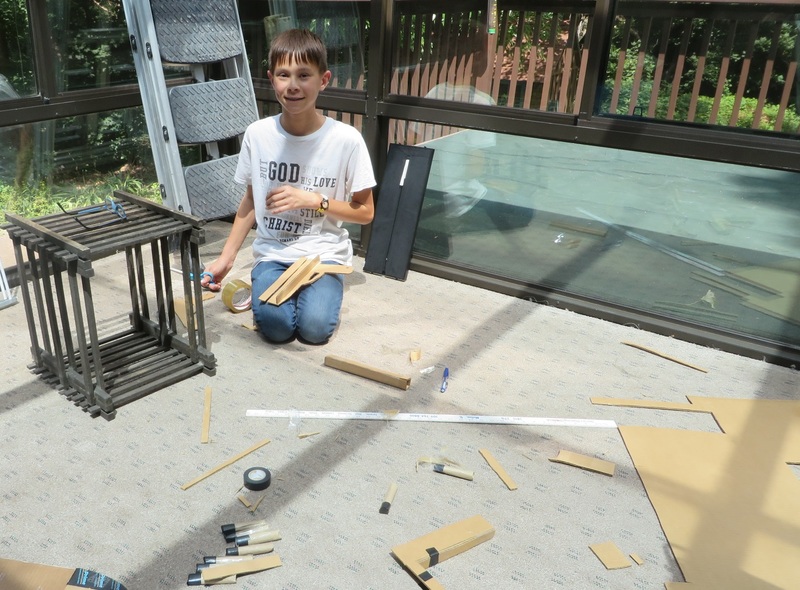 He turned a model plane launcher that was nearly 50-years old into a dart launcher. Josiah working on his dart launcher. Click photo for full size. Grandma made a lot of yummy food including sushi. 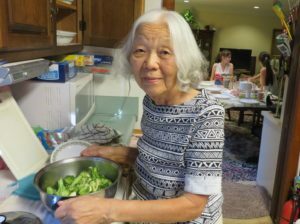 Grandma Pau fixing supper. Click photo for full size. 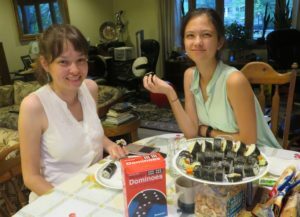 We really liked the vegetarian sushi that Grandma made for us. 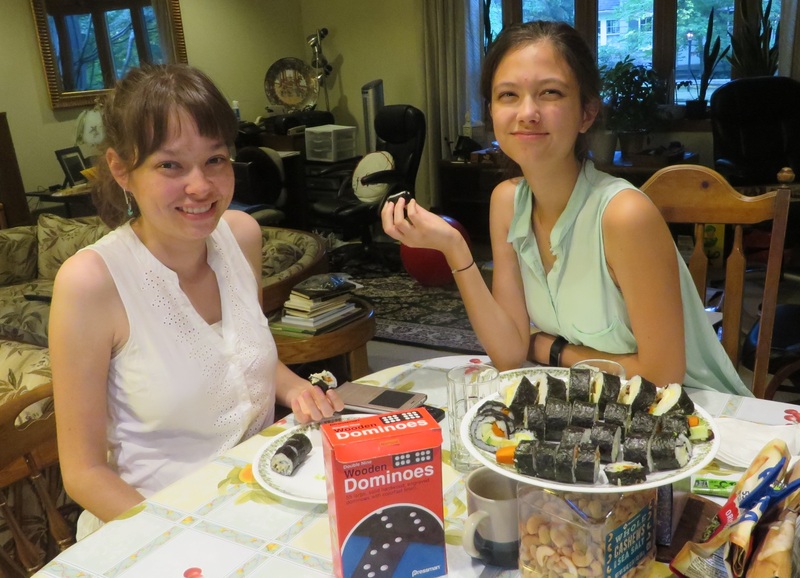 Nicole and Lizzie enjoying vegetarian sushi. Click photo for full size.